National Geographic Television (NatGeoTV.com) has produced a short video clip featuring Dr. Meldrum. It's actually pretty good, and far better than another recent example of media coverage on the subject. In this short video, they briefly address the "where are the bones?" question, hoaxed footprints, Dr. Meldrum's background and expertise (the evolution of bipedalism), anatomical adaptations of sasquatch feet, and a few other tidbits. All that and a little more in just 5 minutes. And most importantly no snickering at, nor belittling of the subject. 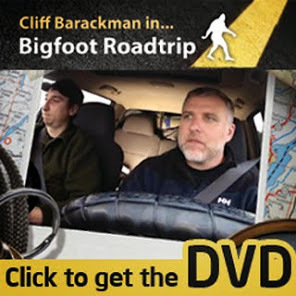 The only time I really cringed while watching the video was when they referred to sasquatch as "him" instead of "they". Ouch! Other than that, not bad. One Year Down, Many More to Go!